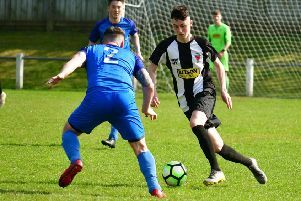 A fund-raising football match kicks off between two Alnwick-based businesses this weekend and people are being encouraged to support the cause. The fixture will see staff from Tustain Motors take on employees of Blackshaws Garage, in aid of Cancer Research UK. The game will be staged on Sunday at Alnmouth Football Club’s pitch, at Hotspur Park, Hipbsurn, from 10.30am. Gordon Saunders, of Tustain Motors, said: “A member of Tustain staff was recently diagnosed with cancer and we wanted to do something for them. Recommended entry for spectators is £1.